BTM Technology Consulting is a managed service provider based in Smithville, Texas. 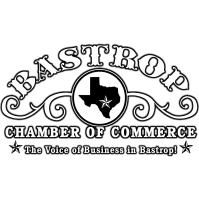 We provide IT support, consulting and computer services to businesses in Bastrop and Fayette counties as well as other cities in the surrounding area, including The Woodlands, Texas. As a Microsoft Partner as well as a Microsoft Cloud Solution Provider, we can provide you with any cloud services available on the market today. Whether you need a business telephone system, hosted servers in the cloud, or if you use Office 365 or have been considering it, please contact us for assistance. We also offer G Suite, Google’s “Gmail for business”! 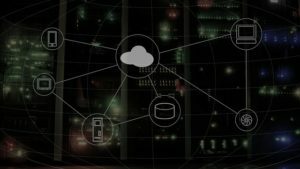 We have a unique ability to understand your business processes and disparate technology and pinpoint areas of improvement and potential solutions. If you have an issue which no one among your employees or vendors is accepting responsibility for resolving, please allow us to sort it out for you. Some services are hard to estimate time in advance, in this case you would be charged an hourly rate. For certain services, we find that it is easier to offer a flat rate for the job so that the customer knows exactly what they will be paying up front, with no hidden fees or surprise charges! Great for businesses with annual budgets! Purchase support time in advance for a significant discount over our regular rates. Discount increases depending on the number of hours you purchase. With 20 years of experience working with global Fortune 500 companies, prior to setting up an independent consulting business, we can advise you on the most expedient path to resolve your IT issues, no matter how large or small. Whether you need assistance making sure you are in compliance with security standards, networking your office, setting up WIFI, or coordinating your website setup and giving you professional e-mail services, monitoring and managed antivirus or any other technology-related issue, we are able to provide a solution for your technology problems! We specialize in working with businesses who recognize that they have gaps in their technological efficiency, but do not have dedicated IT support staff. We can also help correct issues where no one is assuming responsibility or ownership. and pinpoint who is responsible for resolving it. Present us with any IT issues you are facing, and we will work with you to determine your options and strategies and see them through to a successful resolution, whether it is a short-term need or a longer strategic need. We are a veteran and volunteer firefighter owned business and actively involved in our local community. If your business is in Smithville, Bastrop, Giddings, Elgin, La Grange, Fayetteville or the surrounding area, we want to be YOUR one-stop shop for Managed IT Services and Consulting. Please download and install our QuickSupport Client if you are looking for remote assistance!